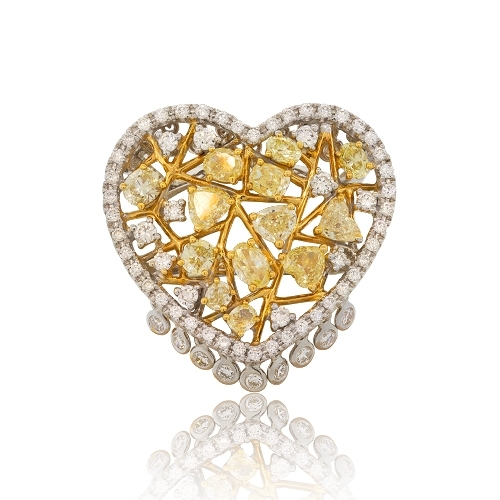 Heart shaped ring with yellow and white diamonds set in 18k white and yellow gold with diamond tassels. Diamonds approx. 3.58ct. Ring size 6.5.